Nonpharmacological strategies, including bed rest, have a lack of evidence supporting their use in the treatment of postdural puncture headache. Neurology Advisor spoke with Dr Peter McAllister about how to best discern migraine with aura from stroke. It is important for clinicians to quickly and accurately determine potential underlying causes and to prescribe treatments that take into account comorbidities and medications that older patients may be taking for them. Overlapping Headache and Sleep Disorders: Which Comes First and How to Treat? 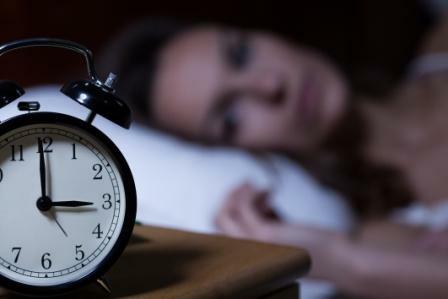 Clinicians discuss the clinical implications of headache and comorbid sleep disturbances. Headache screening should be a routine part of a prenatal visit so that if and when a patient presents with an attack, a suitable plan of action is already established. Despite its prevalence, tension-type headache is often complicated by overlapping symptoms and a weak understanding of tension-type headache etiology. An expert shares his insight on how victims of sexual harassment respond to trauma, and how you can best support your patients who have experienced sexual harassment or abuse. Migraine and Multiple Sclerosis: What Is the Link? Increasing evidence suggests a relationship between migraine and multiple sclerosis that is beyond comorbidity and may help clarify the pathophysiology of both disorders. Fibromyalgia — which affects an estimated 4% to 10% of the US population, with a 7-time higher prevalence in women vs men — has remained a clinically nebulous entity, and one that is very difficult to manage effectively.